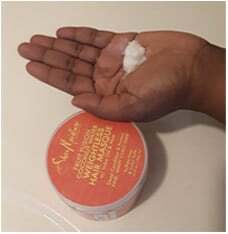 Any true natural hair vet can appreciate a great product that helps you detangle with ease. 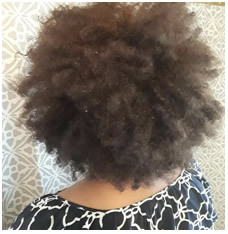 Usually after-or even before getting a protective style, it’s always a good idea to detangle and treat you natural hair so it grows healthy and full while the protective style is installed. 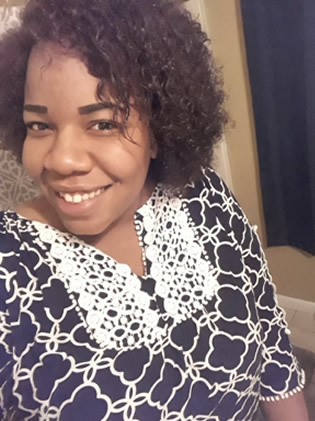 I’ve always been a fan of an easy hair care regimen, but I was unaware that using Shea Moisture’s Fruit Fusion Coconut Water Collection would make it possible for me to detangle my hair in less than 5 minutes after shampooing and conditioning. Shampoo with Fruit Fusion Coconut Water Weightless Shampoo. Using a bit of warm water (not hot), get all of your hair wet. Apply a dime size amount of shampoo and rub your hair in a downwards motion. Usually when I use shampoo, my hair feels brittle and dry, but this time it felt silky with a light foam. My curls already started to relax. I may have even heard them sight. Rinse your hair with water and shampoo again if needed to remove any remaining dirt and buildup. Using a half-dollar size amount, rub into hair from roots to tips. Section off your hair with your hands and work in so that all the product is evenly applied. Unlike conditioner, the mask has a thicker consistency so a little goes a long way. Let the Fruit Fusion Coconut Water Weightless Masque sit on your hair for 10 minutes. Dry hair slightly and detangle working at the ends of your hair first. When you detangle, you literally can feel the kinks relaxing as you comb through. I did not feel any snapping or popping of knots in my hair nor did I see excessive hair left in the comb after I detangled. For a mother that is always on the go, I have to SWEAR by this regimen. This is also a great idea for detangling your children’s hair. Spray hair lightly. Literally, just spray it. You don’t have to rod it or twist it or do anything else! It holds without leaving hair feeling sticky or crunchy . 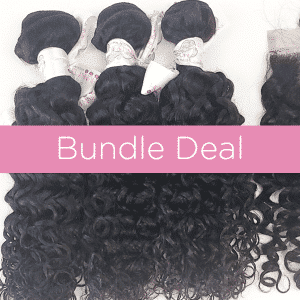 Curls are left feeling soft and supple without any frizz left behind. The entire Fruit Fusion Coconut Water Collection is perfect for anyone that wants to moisturize, detangle, and deeply hydrate their natural hair. 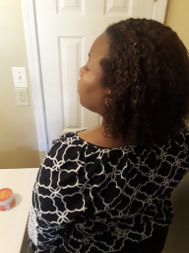 This regimen is perfect for a style to wear in-between protective styles, or one right before you are about to have a protective style. I still can NOT get over the detangling time! 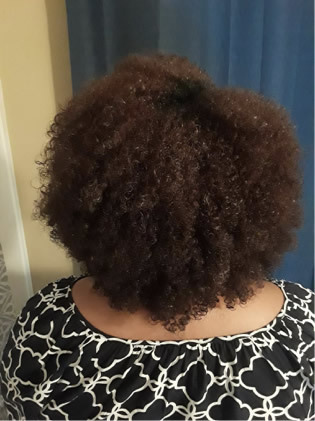 For co-washing, Fruit Fusion Coconut Water Weightless Créme Rinse is the TRUTH! In between washing, it provides a quick way to detangle in the shower! 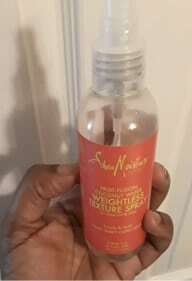 Wet your hair, apply Fruit Fusion Coconut Water Weightless Créme Rinse, shower per usual and rinse right before you get out. Comb through your tangles with your fingers and style as usual. 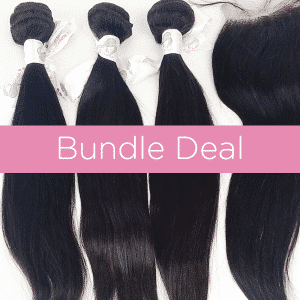 COMING UP: PART 2 : PREPARING YOUR BUNDLES FOR INSTALLATION WITH Fruit Fusion Coconut Water Collection . 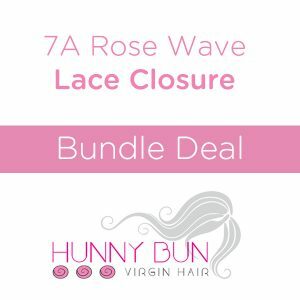 Learn all about how to prep your extensions for installation with this lightweight and deeply hydrating hair care line.